Google began restricting third-party tech support service ads worldwide, and plans to introduce a verification system in the coming months. The program, announced Friday, aims to ensure that only legitimate providers can use Google’s ad platform to reach consumers. Fraud led Google to restrict a variety of business categories to run ads in search, but some believe the search company is leaning too hard on some industries and not enough on others. Overall, Olson said, it is important to have a list of digital advertisers — and today one does not exist. While The Media Trust and search marketers applaud Google’s efforts, Jonathan Kagan, senior director of search at Cogniscient Media, a MARC USA company, believes Google tries to regulate the wrong industries. Kagan said a letter arrived this morning from Google outlining additional requirements to allow ads from the drug and alcohol rehabilitation facility of a very small hospital network to run in Google search. After filling out what Kagan described as a 500-page document allowing his client to run ads in Google search, a more recent condition required an on-site physical inspection of the facility by a third-party company, LegitScript, which Google partnered with to certify addiction treatment facilities that want to run ads in its search results. “We’re trying to save lives and [Google’s] hindering this,” Kagan said. Other industries are being regulated too much, while others not enough, according to some. For example, cannabis could be considered one being too closely regulated not that many U.S. states have legalized it for recreational and medicinal purposes. Kagan suspects it’s because it’s against federal, but not state laws, he said. “Only Yahoo is the one that has shown an interest in running cannabis search ads,” he added. Kagan said Microsoft in 2016 invested in technology to track cannabis, but doesn’t allow dispensaries to run search ads in Bing. In July of that year, Kind Financial announced that Microsoft would make Kind’s Agrisoft Seed-to-Sale software available for sale on its cloud computing platform that services government clients. In addition to rehab centers, Google has worked to set search ad guidelines on a variety of businesses such as payday loans and bail bond services. Now it has turned its focus to third-party tech support services. Tech-support scams represent a major issue in search. “We’ve seen a rise in misleading ad experiences stemming from third-party technical support providers and have decided to begin restricting ads in this category globally,” wrote David Graff, director, global product policy, in a blog post. Graff acknowledges in the post that these efforts alone won’t stop people from “trying to game” Google’s online advertising platforms, but the changes will make it a lot more difficult. In 2017, Google removed more than 3.2 billion ads that violated its advertising policies. The company estimates that is more than 100 bad ads per second. 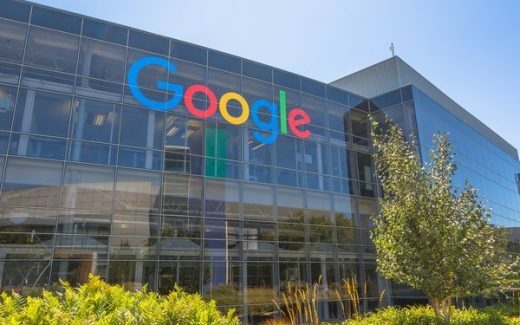 In a report released in March, Google said it blocked 79 million ads across its network for attempting to send people to malware-laden sites, and removed 400,000 of these unsafe sites last year. Also on the list are 66 million “trick-to-click ads,” as well as 48 million ads that attempted to get users to install unwanted software. Google announced the changes following a Wall Street Journal report that found people commit fraud by buying ads from Google and posing as authorized service agents for Apple. One example provided points to the first results in a recent search results for the phrase “Apple tech support.” The search ads serve a link to Apple.com, along with a toll-free number, but the WSJ found the number didn’t belong to Apple. Instead it belonged to a call center involved in tech-support scams. Scams are on the rise, and not only at Google. The WSJ reports that Microsoft receives around 12,000 complaints about tech support scams monthly, up about 24% in 2017, and the Federal Trade Commission registered 45,000 complaints about online tech support fraud in 2016.